So many mighty and powerful are drawn to the African countries, and I am not even talking about Chinese and their generous investment in infrastructural projects in 53 out of 54 countries of the continent. There are also 500 more companies from around the world, famous and not so much, that are actively investing in various business projects in Africa. 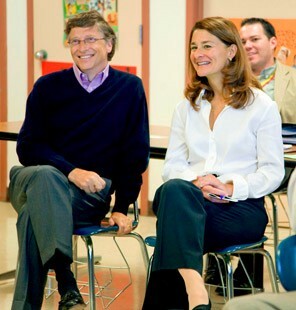 Managing around 44 bln USD, Bill & Melinda Gates Foundation has been investing for decades in the healthcare, education and agriculture projects in Ethiopia, Nigeria, South Africa, Burkina Faso, Congo, Ghana, Kenya, Senegal, Tanzania and Zambia. It also started an early stage start-up accelerator Digital Financial Services Lab that has 4,8 mln USD to invest in fintech startups. Since fintech is considered a great influence on the general well-being and an instrument to life people out of poverty. Recently they have supported a loan project in Kenya, a mobile wallet in Tanzania and a pension project in South Africa. 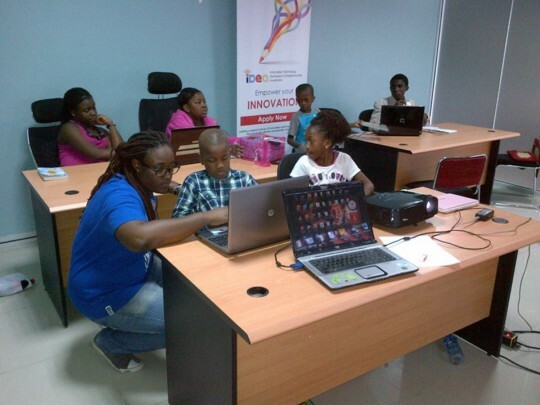 Google was one the first tech companies in Africa, establishing 3 mln USD Launchpad tech hub in Nigeria. Later Facebook set up NGHubthere, opening way for other tech hubs that bloomed both in Nigeria and in other countries. In Ghana Google set up its AI Research Centre, and Kenya, Uganda and Liberia boasted private schools funded by, you guessed it, Facebook. Both internet giants are eyeing the mind-boggling potential of the young & able African population, and their role in setting up future tech businesses. Alibaba set foot in Africa only last year, but soon vigorously recognized that it was unnecessary ignorant. 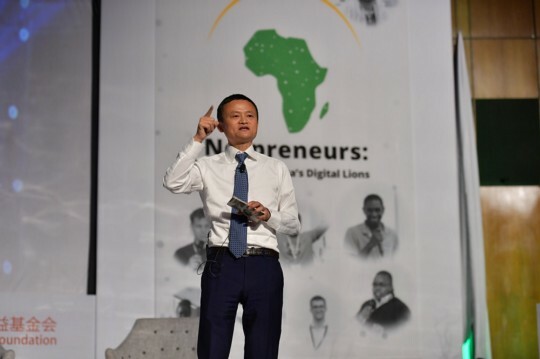 Jack Ma promised that he would visit every single country on the continent within the next couple of years, and also set up a 10 mln USD grant, called Netpreneur Prize, available to any technology startup anywhere in Africa. 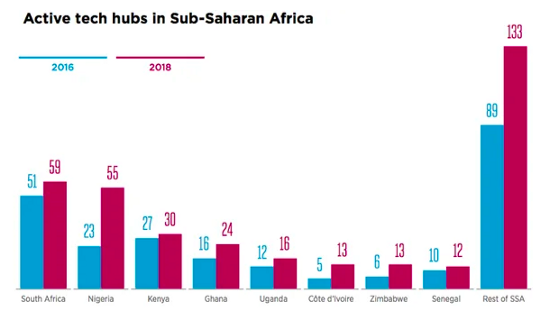 There are more than 350 tech hubs active now in Africa. Most of them are housed in the more internet developed countries, like South Africa, birthplace of Naspers, Nigeria, birthplace of Jumia and Konga, Kenya, home to M-Pesa, and the new African star — Ghana. Although locals are much more sceptical than the news media about their effectiveness and influence on the local tech scene. Apart from the tech hubs, grants and other software engineers incubators, there are more curious investments that Google and Facebook are doing in Africa. They are investing into the internet itself. Key problem in Africa is the internet availability and speed that blocks hundreds of millions of people from joining the world digital consumers army. For the historic reasons internet infrastructure totally depends on the telecom providers and their investment. For both Google and Facebook this is a problem that needs creative solution, if they want to get that billion users. In 2010 Mark Zuckerberg has announced Facebook Zero initiative that allowed for the free access to light-weight Facebook app and its mobile website version (where pics were not loaded by default, for one). To achieve this, Facebook negotiated with 50 of the international mobile operators, including those in Algeria, Angola, Benin, Botswana, Cameroon, Guinea, Kenya, Morocco, South Africa and Zimbabwe. It was mostly only one mobile operator per country, and usually the runner-up. His initiative inspired Google, Twitter and Wikipedia to do exactly the same in the years to come. But then he faced the mounting public discontent here and there that ultimately disrupted the initiative. What kind of discontent? Facebook Zero was considered to limit the freedom of internet use, also known as net neutrality, and to manipulate masses into the lopsided view of the internet potential. In other words, not enough free stuff. Mark heard this. And in 2013 established a partnership project named internet.org (later renamed into Free Basics) together with 6 other companies — Samsung, Ericsson, MediaTek, Opera Software, Nokia and Qualcomm. The project basically looked like an app or platform for the mobile phones, where you could have a free access (no mobile data tariffs) to certain participating websites. Any internet business or resource could participate, as long as they fit the requirements — information or service value, effective and little mobile data usage, high level of optimisation for all kinds of browsers and phone models. Public discontent was getting stronger. And finally Facebook became demonised as a commercial evil company that chooses how people are going to use in the internet. Perhaps, those people were not familiar with the Chinese internet. However, this rumble turned out to be way prosaic than it seemed to be. When telecom operators agreed to allow free access to Facebook, Whatsapp, Instagram, little did they realise that they are cutting their own revenue stream for the data and calls, since people quickly binged on social network time, and shifted to calls through messengers en-masse. 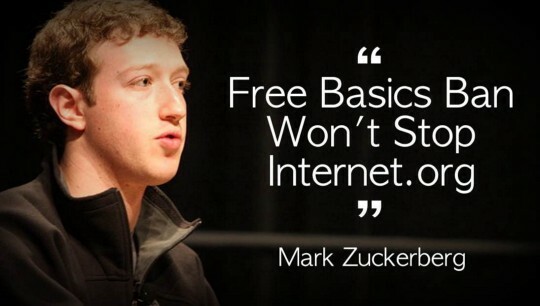 Mutually beneficial partnership turned out to not be so beneficial to the operators, and soon Facebook’s Free Basics was banned in some countries, or social media time got taxed for ordinary people in others, like Uganda and Zambia. Is there much to do if you find yourself in such situation? 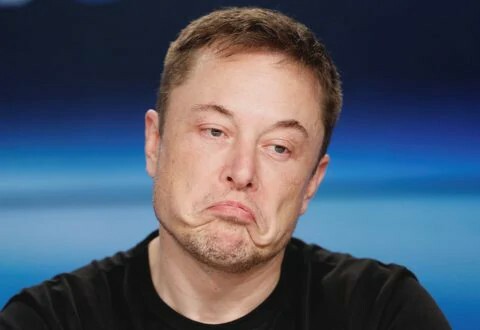 You want that billion users stuck in the developing countries, ready for your products, having tasted them and thirsty for more, but the telecoms resisting your moves. Right, you just need to supplyalternative internet. This is exactly what Google became engaged with from 2013 when it launched Project Link, now part of CSquared, Alphabet company, in Uganda, Ghana and soon Liberia. Google and its partners sponsored optical fibre network infrastructure and allowed access to its to the local internet providers. Part of the contract is to open public wi-fi hotspots. Time-consuming, expensive, but effective. 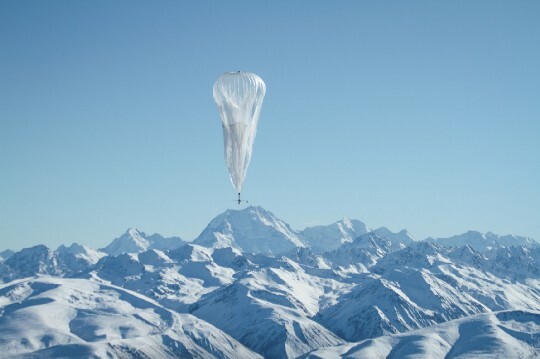 A bit more effective than another Google project — Project Loon (earlier called Google X) that shoots air balloons into stratosphere above the region, sends 4G/LTE signal down that could be acquired by the special antenna. Every year the signal transmission technology gets better, balloons are able to stay up longer, and this year they will be tested above Kenya ground. Mark is also on the race. In 2014 amidst tough telecom negotiations he followed Google example and set up Connectivity Lab project. It makes research and performs tests for another kind and way of signal transmission — instead of the fibre they used laser, instead of balloons — drones and low-orbit satellites. One of such satellites was supposed to get up on SpaceX rocket in 2016, but sadly crashed along with Facebook hopes. There is an opinion that Google is trying to build another model of internet infrastructure, alternative to the current telecom-dominated one, which would ignite the rise of independent internet-providers. Facebook, on the other hand, is not trying to revolutionise things, but relies on the telecoms to rent his future internet capacities. However that may be, Africa is definitely one the key places for the current internet giants struggle over their future role, American or Asian.